The Extra Large Capiz Lotus Drum Pendant is fashioned by World's Away. 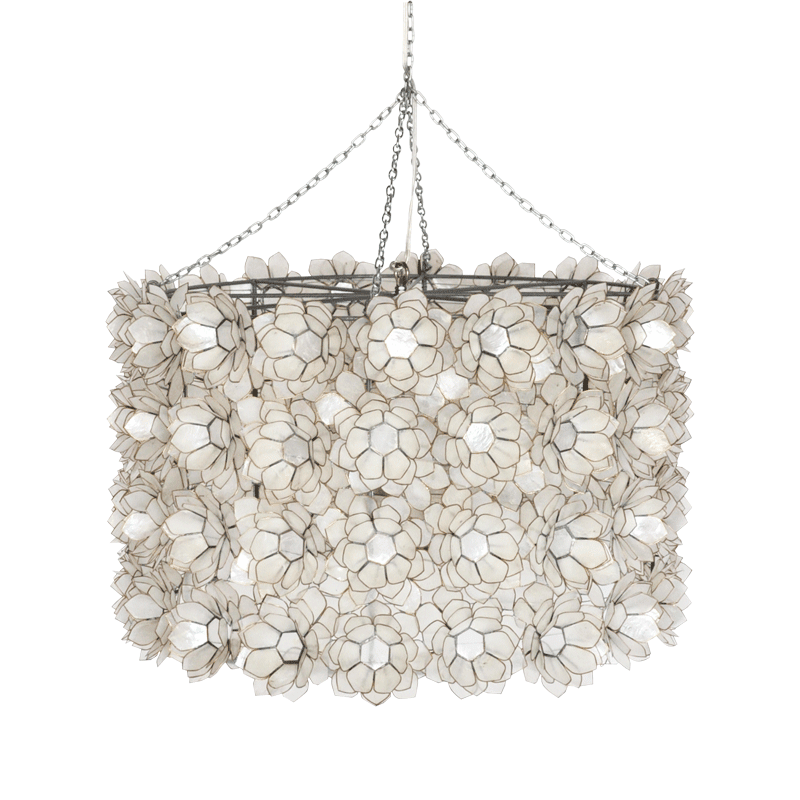 Light and airy, this delicate pendant will brighten up any room. Comes with 2-light cluster for 40w bulbs. Comes with 3’ chrome chain and canopy. 16“h (shade only) x 30” diameter.